Dota 2, a free online multiplayer game on steam which is a addictive as well as an adventurous game.Recently, international tournament was placed in which Team liquid became the champions.This international e-sports tournament with a grand prize of $10.7 million.This is the first time that Team Liquid won after appearing at 5 international tournaments. After the exit of 4 chinese teams Team Liquid was the only surviving team left. 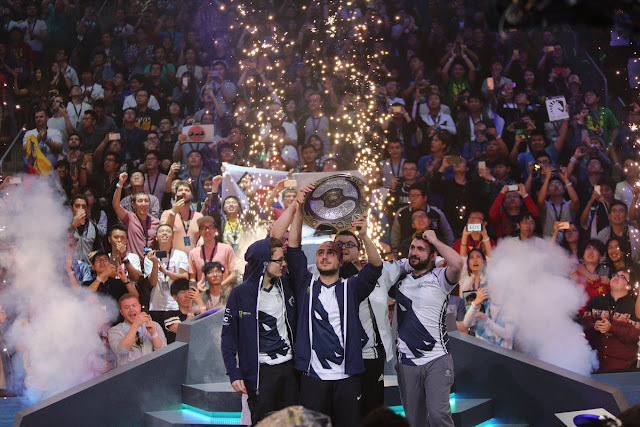 The key arena at Seattle turned into a gigantic battleground for Dota 2 fans, Chinese and North Americans fans were supporting there respective teams.Team Liquid started getting attention as it defeated Team Secret, Team, Virtus Pro and other Chinese teams. After beating all the teams Team Liquid qualified for grand finals in which they defeated Team Newbee with 3-0. Newbee secured second prize and won $3.9 million. In this tournament Team Liquid became champions and they created history in the Dota 2.